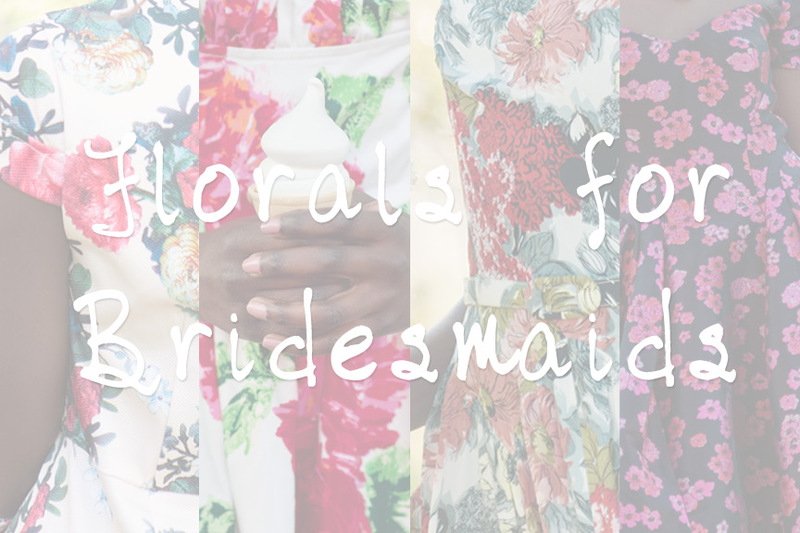 Floral bridesmaid dresses are all the rage in 2015. 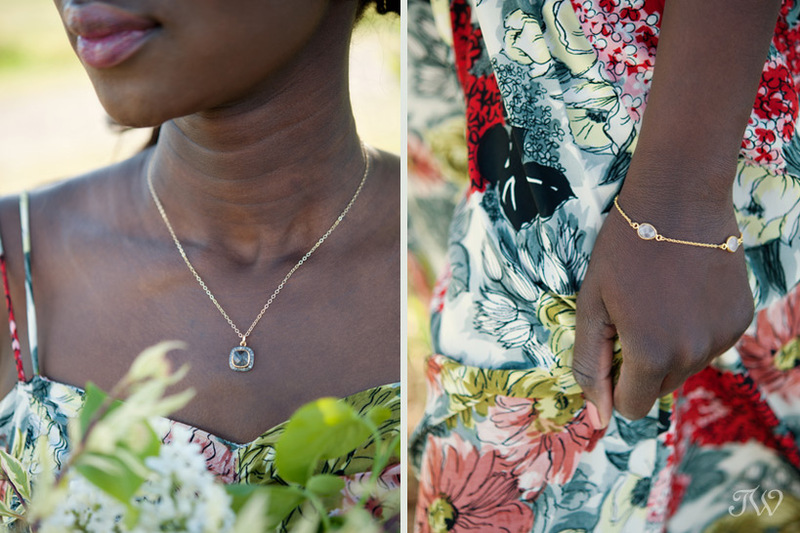 It’s one thing to get bridesmaid inspiration from a wedding blog, but it’s quite another to find what you love locally. 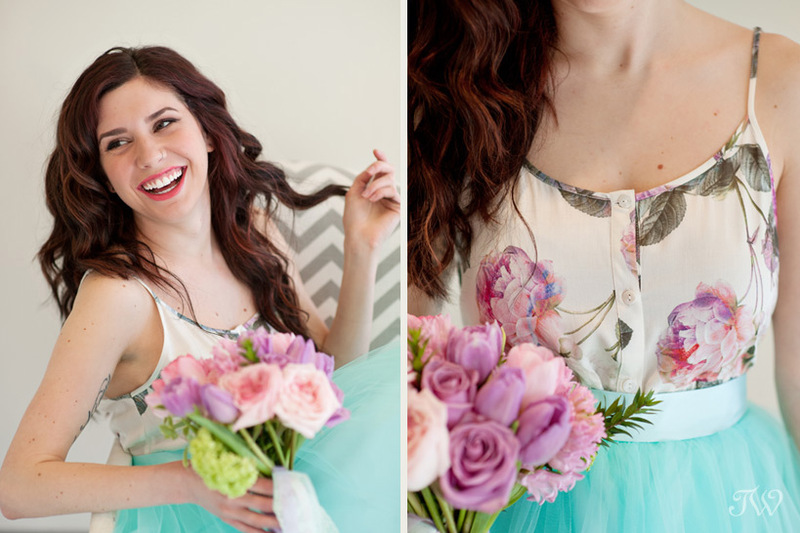 On Wednesday I posted the first in a series of four floral dress options for Calgary bridesmaids. 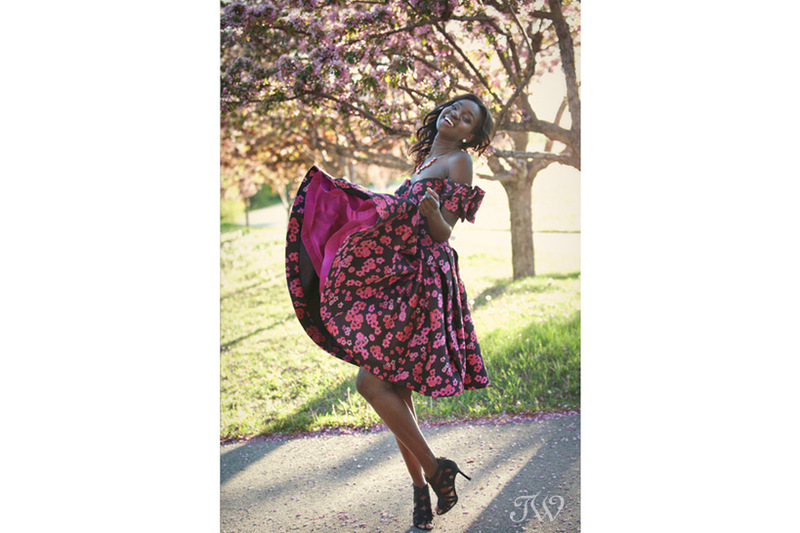 If you’re a bride looking for unique floral dresses for your bridal party, consider A Vintage Affair. What would be more charming than a group of bridesmaids in mismatched (but complimentary) vintage prints? This flowing dress with spaghetti straps is a 1940s treasure that feels completely today. 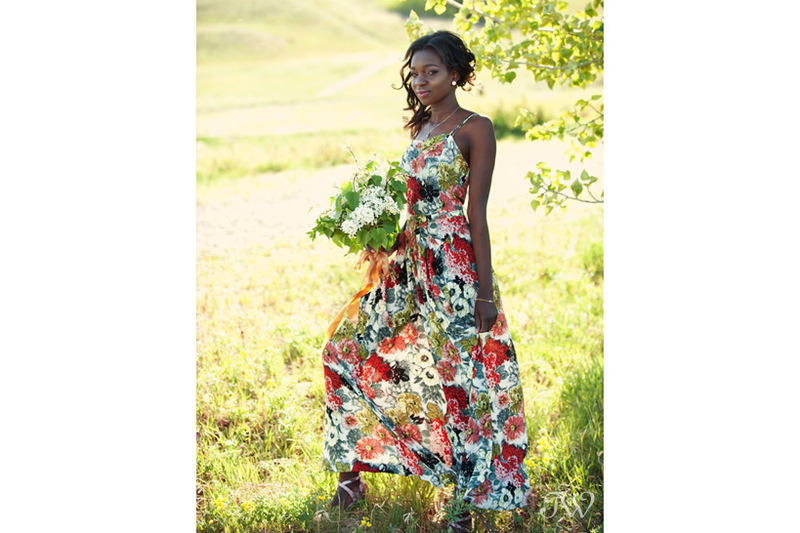 Here’s another floral bridesmaid dress option from Ette, if you’d like to see. 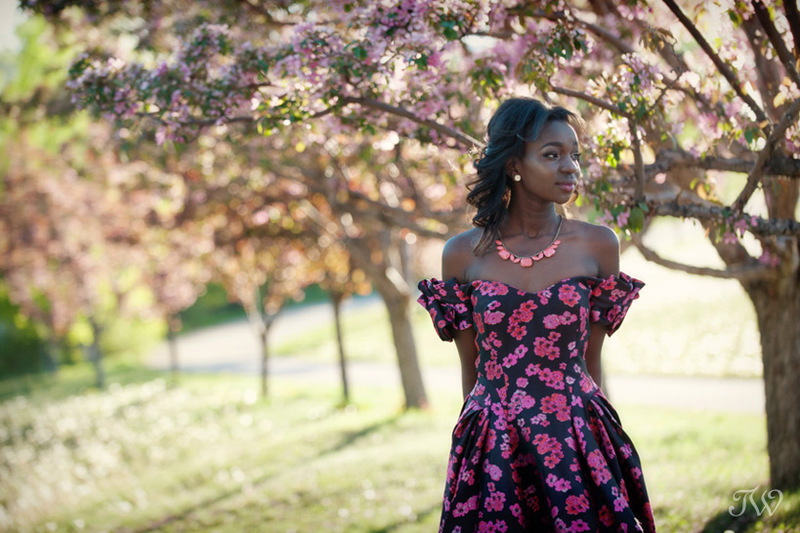 Fashion trends for bridesmaids captured by Calgary Wedding Photographer – Tara Whittaker. Here we are and it’s throwback Thursday again. It got me thinking about this Banff marriage proposal from last summer. Brian proposed to Clarianne next to the emerald waters of the Bow River and it was truly one of my most romantic things I’ve ever photographed. 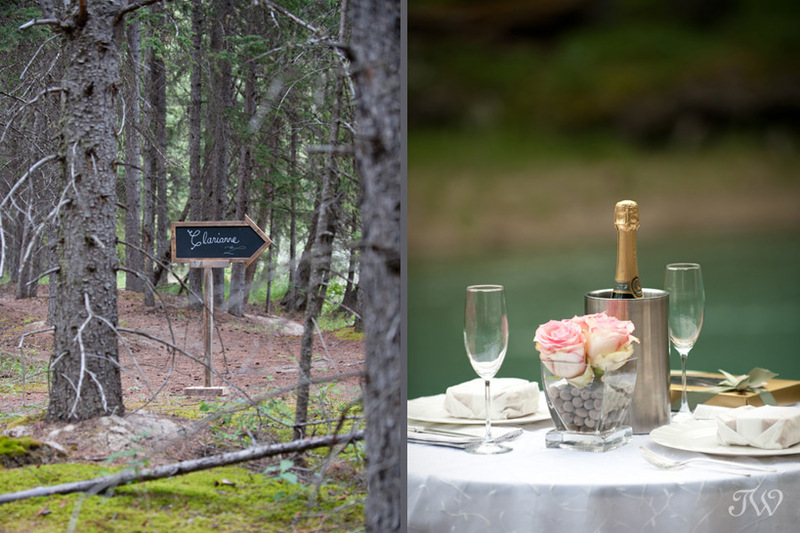 The whole thing was perfectly orchestrated by Sharon Auld of Naturally Chic. Here’s the original post on Brian and Clarianne’s surprise engagement. It was also recently featured on Canadian Mountain Chic, if you’d like to see. Banff marriage proposal captured by Calgary Wedding Photographer – Tara Whittaker. 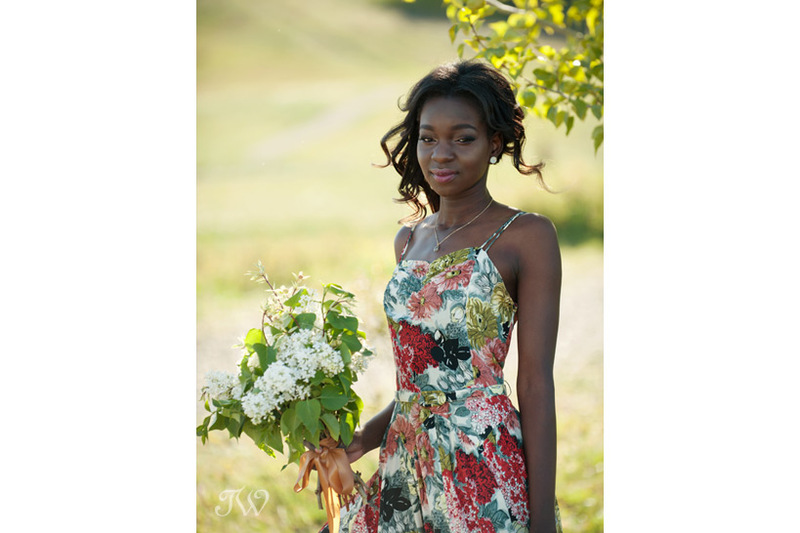 Floral dresses for weddings are definitely on trend for 2015. Bridesmaids in pretty pastel prints and bold blooms are popping up on wedding blogs left and right. 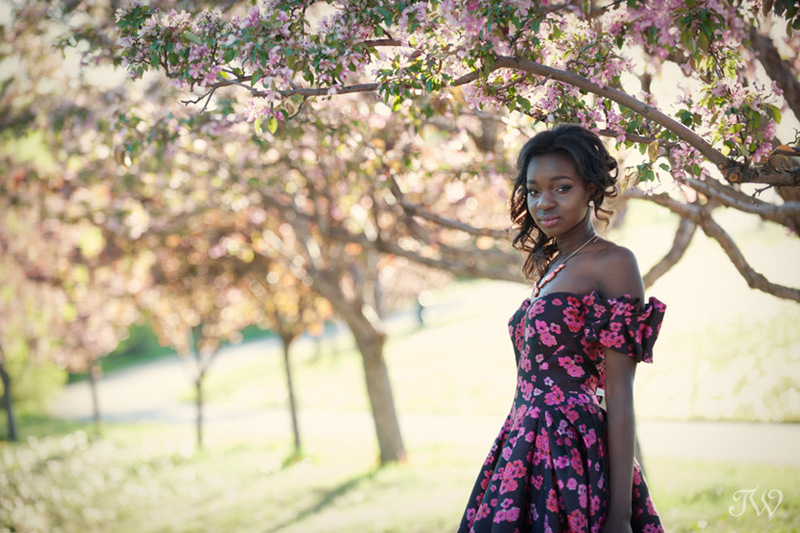 After the recent article by the Calgary Bridal Alliance, I decided to track down floral bridesmaid dresses that are available to ladies shopping here in Calgary. Today I’m sharing the first of four beautiful options I found (and believe me there are some good ones). It was love at first sight when I saw this Zac Posen party dress at Ette. With an off-the-shoulder neckline and peekaboo lining, it’s the perfect blend of playful and polished. Stop back on Friday for my next floral find from A Vintage Affair. Thanks to our gorgeous bridesmaid, Debol. 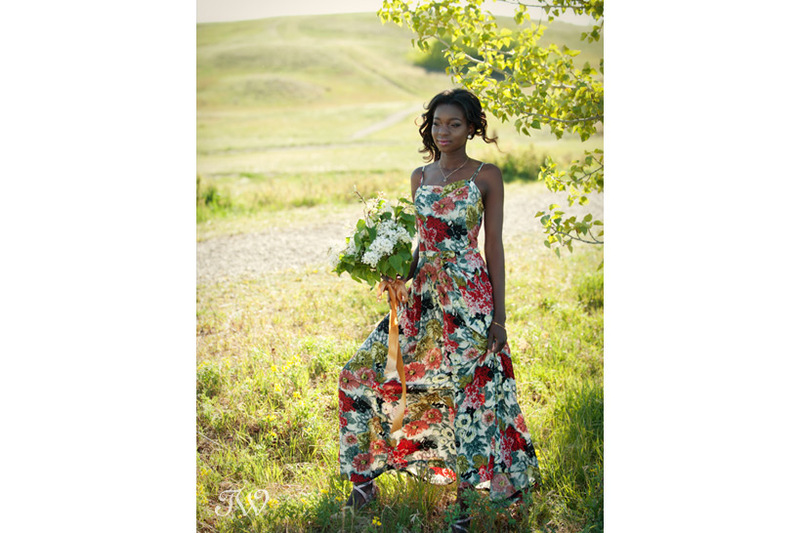 Floral dresses for weddings captured by Calgary Wedding Photographer – Tara Whittaker. I love the fact that today’s bride has so many shoe options. Gone are the days of dyed satin pumps. Strappy pumps for brides? I vote “Yes”! Strappy pumps for brides captured by Calgary Wedding Photographer – Tara Whittaker. Happy Friday! I thought I’d celebrate the weekend with a Pinterest round-up. Here’s what my readers are pinning lately. 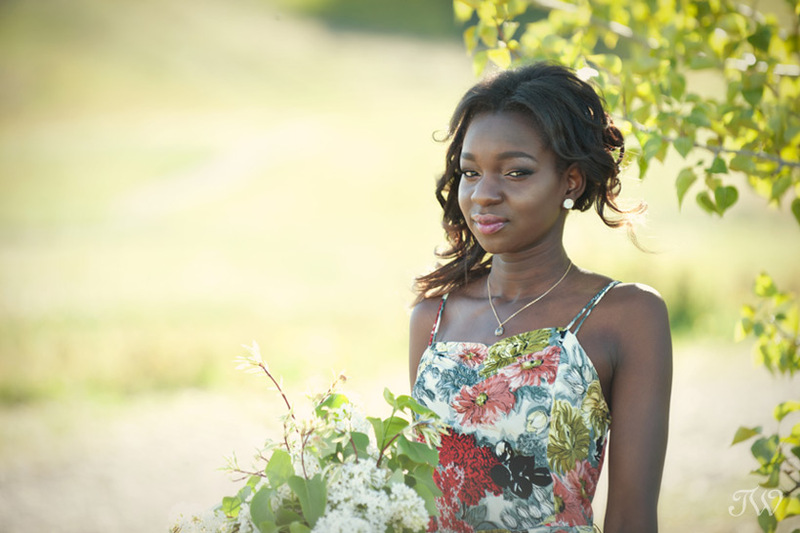 This photo shoot with Adorn Boutique and Flowers by Janie, was filled with tips on what to wear to a wedding. You can’t go wrong with a tulle skirt. 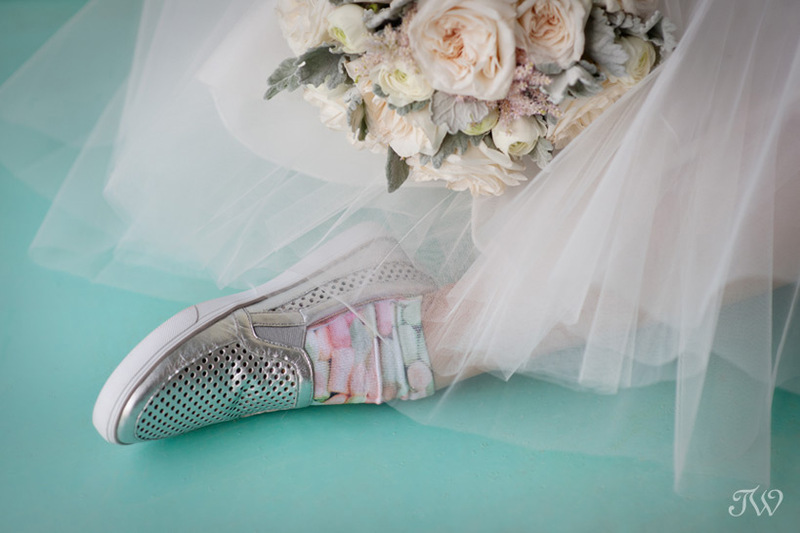 If you follow my blog, you know that I try to post wedding shoe inspiration each week. Evidently these metallic sneaks from Nine West were a hit with readers. Great taste! 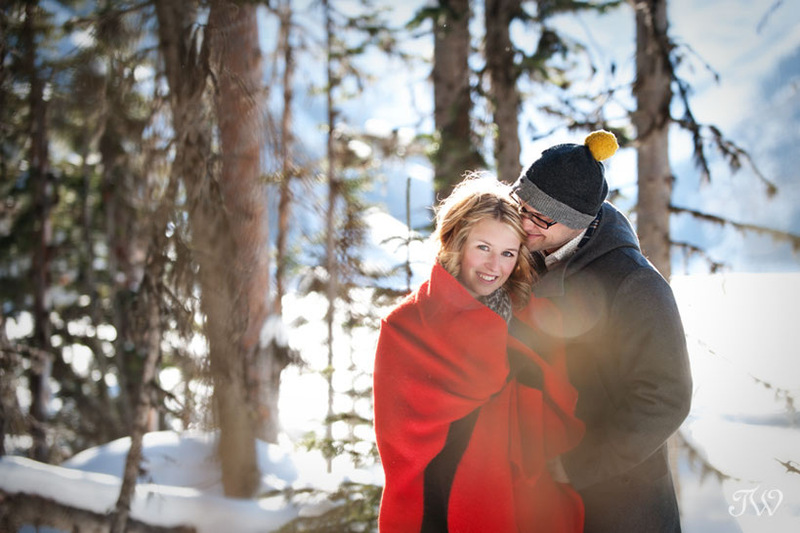 And last but not least, Samantha and Pete’s winter engagement session at Lake Louise remains a favourite. Here’s my last Pinterest round-up, if you’d like to see. I’m starting to really like throwback Thursdays. It’s fun to look back at past projects and find photo gems like this one. 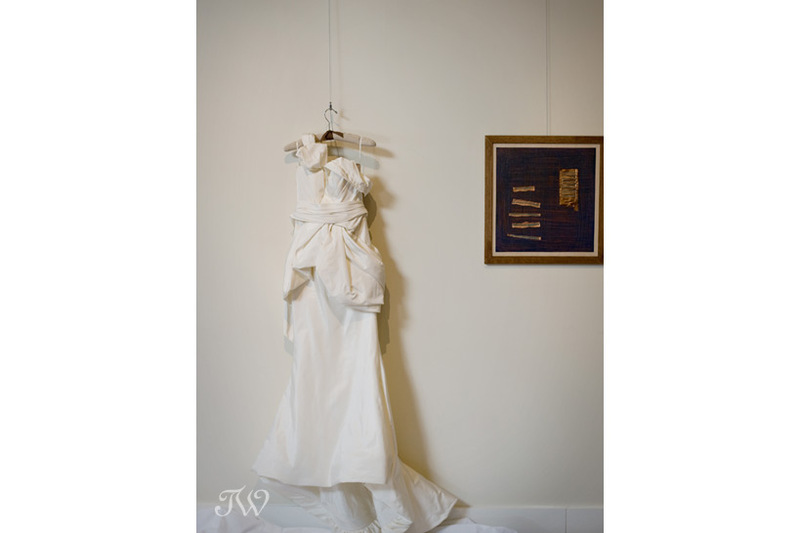 This was my first time photographing a Vera Wang bridal gown. We had just finished shooting a Marie Antoinette inspiration shoot at Endeavour Arts and there was this beautiful dress, hanging there like a piece of art in the gallery. This bride wore a gorgeous, beaded Maggie Sottero gown for her Kelowna wedding, if you’d like to see. Vera Wang bridal gown captured by Calgary Wedding Photographer – Tara Whittaker.